As great as we think e-paper and other thin, flexible, ultra-portable gadgets are, the one problem that has foiled more of these projects than anything else is the power source. Most batteries require some amount of bulk, making them impractical for use in flexible and lightweight objects. 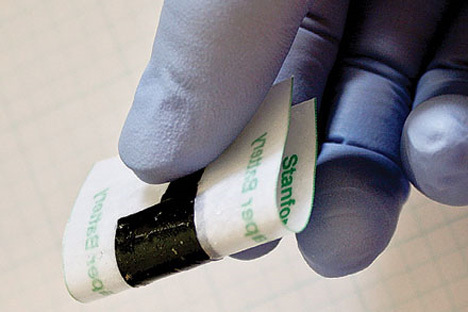 But a team of materials scientists at Stanford have succeeded in creating a paper-thin battery that could be the answer to all of those nagging problems and finally usher in the era of e-paper, powered packaging and electronic newspapers. The battery is made up of a series of tubes – carbon nanotubes, to be exact. A solid support structure was coated with carbon nanotubes and then the nanotube layer was covered with a layer of lithium compound. 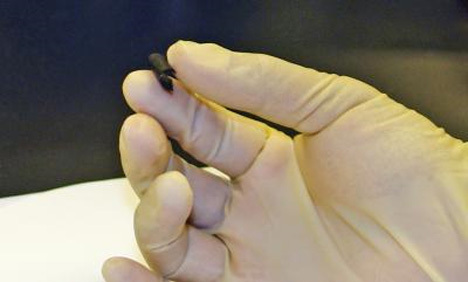 The resulting double-layer film was put onto both sides of a piece of paper, resulting in a 30 micron-thick battery that is ultra flexible and more effective than other thin batteries. In trials, the almost-paper-thin battery didn’t degrade in performance even after 300 recharging cycles. The fact that the batteries use regular paper and simple fabrication techniques means that it is possible to put them into almost everything – “smart” packaging could be coming sooner than most of us would like to imagine.